The Baumgarten Company of 45 East Fayette Street in Baltimore, Maryland, began business life in the engraving trade before moving, during the 1890s, into office supplies and small printing presses. 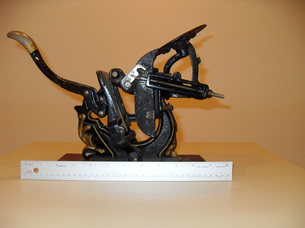 The company produced a line of at least a dozen little presses, most of whose designs appear to have been “borrowed” from the Baltimorean line of presses produced by J.F.W. Dorman, also of Baltimore. The Baltimore No. 11’s 2½ x 4 inch platen [the plate which produces an inked impression on paper] would have limited the press’s output to nothing much bigger than a trade card (see below). Even so, it very likely would still have appealed to a professional printer who wished to reserve bigger presses for larger formats. EDUCATE YOUR BOYS [the advertisement reads]. GIVE THEM A PRINTING PRESS. The moral, mental and physical development of the boys should be the study of all who love their country and desire to perpetuate its institutions. In no way can this be more effectually aided than by the use of one of these presses. That such are happier shocks all common sense. 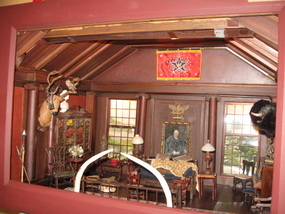 Created by North Country Garden Club members in 1975, the model of Sagamore Hill’s North Room was awarded a first-place prize at the Garden Club of America’s 1976 annual meeting in Minneapolis. The room did not return to Long Island until 2002, after some years on display at the Theodore Roosevelt Inaugural Site in Buffalo. 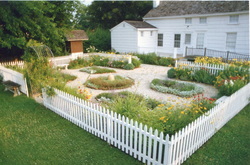 Following extensive structural rehabilitation, the model entered the Society’s collections with a formal presentation honoring the Garden Club’s many years of dedication to the Wightman House’s colonial garden. 1920s sawn wood construction, glass windowpanes, and paint. Hinged doors and outer walls, with removable peaked roof. Interior furnishings and appliances. Polly Weeks was a child living at the foot of Mill Hill when she received this playhouse as a gift. 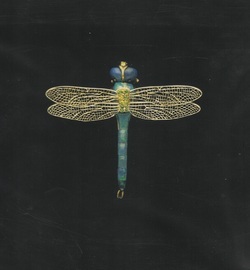 Elfrida herself went abroad to live after her 1905 marriage to Sir Orme Bigland Clarke, 4th Baronet. She was instrumental in preserving Bibury Court, her husband’s ancestral Cotswold estate, from demolition. The Jacobean mansion has been adapted for re-use as a luxury hotel. 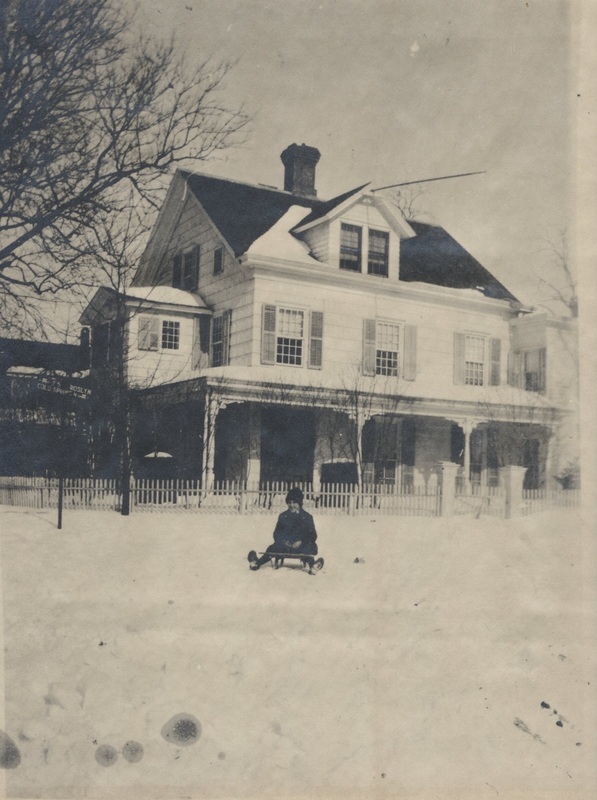 The singing of this lilting song in the hamlet of Oyster Bay is a Christmas tradition that goes back over a century. 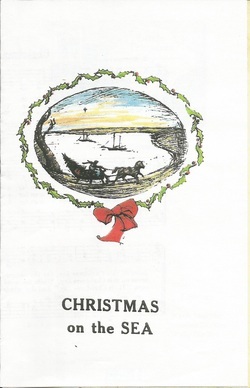 Mary Fanny Youngs, who lived in the old Youngs Homestead in Cove Neck, felt that the song was as much a part of Christmas as the ride through the snow to church on Christmas Eve. 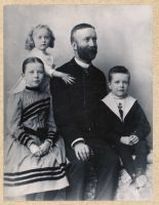 Theodore Roosevelt decalred it one of his favorite carols, singing it with his family on Christmas Day at Oyster Bay's Christ Church. 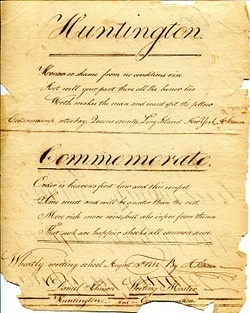 The song was one of many hymns and carols that George F Root wrote, though he was known better for his popular Civil War songs, the most famous being "The Battle Cry of Freedom." The carol's lyrics were the work of Hezekiah Butterworth, long-time editor of the Youth's Companion. 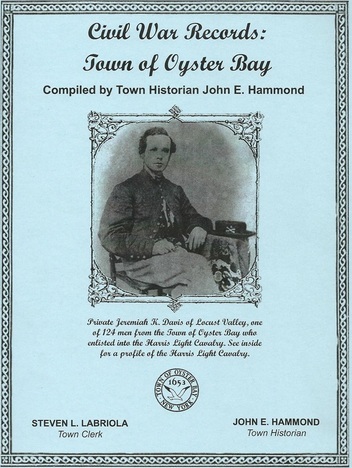 Although "Christmas on the Sea" gained some popularity across Long Island and beyond, generations of Oyster Bay residents regard the carol as their very own, indigenous to the soil of their hamlet by the bay. Founded by three brothers in 1900 in Williamsburg, Brooklyn, the Jacob Brothers Company produced commercial weight scales for bakers, butchers, and medical clinics. 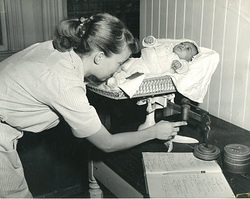 A very similar scale appears in the accompanying 1953 photograph at left from the Visiting Nurses Association of Oyster Bay-Glen Cove. 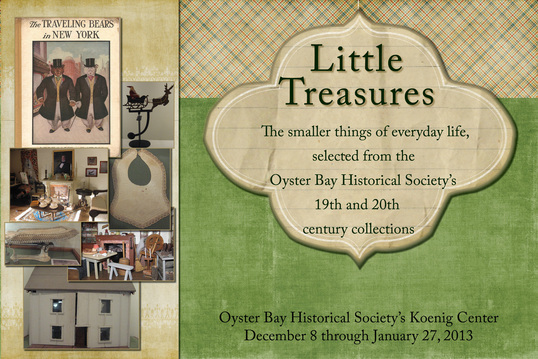 Visit Collections, the Oyster Bay Historical Society's blog, for more information. The exhibition, on view at the Theodore Roosevelt Birthplace in New York City from June 16 through September 9, has now traveled to the Oyster Bay Society, where it will remain on view from September 22 through November 11. Over one hundred objects relating to TR's 1912 presidential campaign will be available for public viewing, including the revolver that would-be assassin John Schrank fired at Roosevelt in Milwaukee three weeks before the election. TR in '12 is an exhibition organized by the Theodore Roosevelt Association, in partnership with the National Park Service and the Oyster Bay Historical Society, and curated by Rick Marschall and Gregory A Wynn. Theodore Roosevelt hand-picked his successor, William Howard Taft, and departed for more than a year of foreign travel less than a month after leaving office. In part this was to give Taft the nation’s undivided attention, and a chance to fulfill his promise to continue TR’s policies. But Roosevelt returned to find a fractured party. TR’s Republican opponents had the new president’s ear, and many of the reform initiatives of the previous two terms in jeopardy. House and Senate “Insurgents” urged Roosevelt to re-enter the national debate, if not elective politics once again. 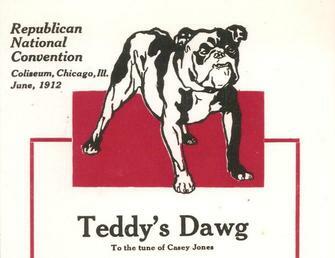 The “Old Guard” GOP suffered a decisive drubbing in the 1910 mid-term election. Presidential referential primaries were a relatively new phenomenon in 1912. States were adopting them quickly, mostly in Insurgent or Progressive states where other reform measures like the initiative, the referendum, ballot propositions, and recalls were popular. 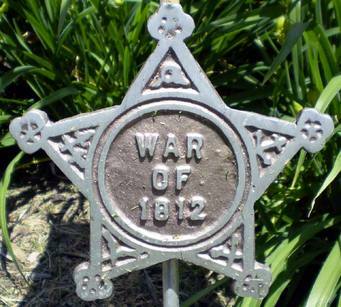 TR did not dominate the early contests – there still was residual sentiment for a White House aspirant, Sen. Robert M. LaFollette of Wisconsin – but soon the Colonel’s support picked up, and he scored a succession of strong wins. The most significant showdown was in President. Taft’s home state of Ohio. Both candidates realized the symbolic importance of a showing in the incumbent’s back yard; his family had been active in state politics for two generations (and continues to be, today). Roosevelt and Taft criss-crossed the state at an almost feverish pace, sometimes passing each other’s entourages, their railroad coaches once stopped side-by-side (they did not exchange greetings). The result: Taft was trounced, humiliated even in his own districts. 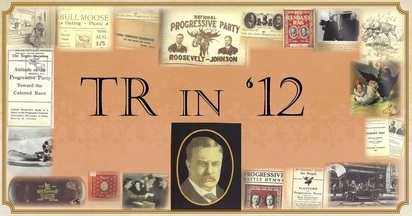 After Ohio, TR continued to triumph in the primaries. It was clear that the Republican rank-and-file’s choice was Theodore Roosevelt. 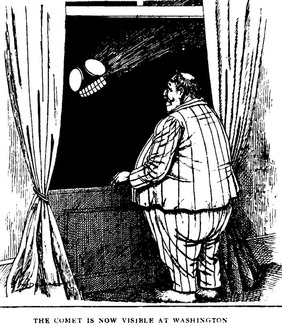 The suspense ceased to be his performance in such contests, but whether the inertia of a rock-ribbed, entrenched party organization, with many delegates chosen by party bosses or hand-picked in states where Republicans were scarce, could be the immovable object that would stop the irresistible force of Theodore Roosevelt. The major party conventions of 1912 were among the most fascinating in American history. For the first time, primaries played a major role in delegate selection. The Republican Party was torn apart by the astonishing Roosevelt candidacy, the popular support he engendered, and the desperate convention tactics of the Old Guard to thwart the reformers’ movement. Credential fights – with a committee denying many Roosevelt delegates their seats – and floor fights punctuated the raucous scene. The bunting on the speaker’s platform concealed barbed wire, for managers feared that some delegates could storm the podium. The Democrats met in Baltimore, immediately deadlocked between reform and conservative forces. 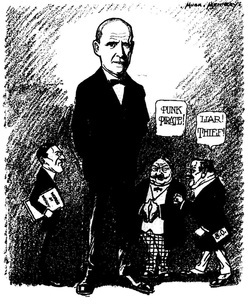 The perennial candidate William Jennings Bryan was at first largely dismissed, yet he forced the passage of a resolution against the power of Wall Street financiers and party managers. For 46 ballots in the steamy summer weather no candidate garnered enough votes for the nod, but Governor Woodrow Wilson finally was put over the top. 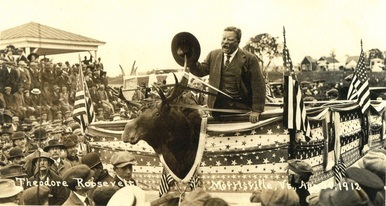 “I’m fit as a bull moose” and “It takes more than that to kill a bull moose!” are two references to the campaign’s icon used directly by TR. The first coined the unofficial name of the new party, and the second was his response to a bullet being fired into his chest late in the campaign. 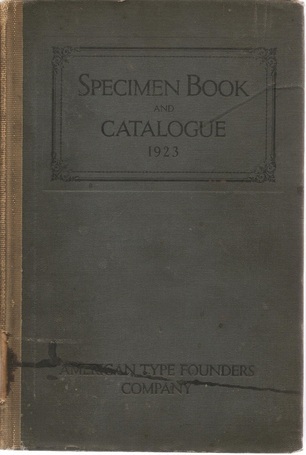 TR was an expert on North American big game mammals, and his writing on elk, grizzlies, and cougars are considered some of the best sport writing on these species, even to this day. Quickly employed by cartoonists, and fashioned as children’s pull-toys, buttons, ribbons, and music, the Bull Moose spent a year at the forefront of the American consciousness before slipping away into the obscurity of northeastern forests. 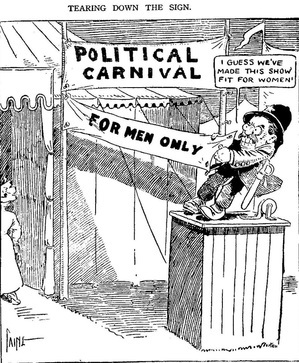 In fact, progressivism of whatever stripe – reformist, small-p, capital-P, foreshadowing today’s politics or not – was at a high-water mark in 1912. Even Taft claimed the mantle; and his administration had actually prosecuted more trusts in four years than TR did in eight. The Democrats, who might have nominated conservatives like Speaker Champ Clark, turned after dozens of ballots to New Jersey governor Woodrow Wilson, an ardent Progressive in the modern sense. Even the Socialist Party of America, whose candidate was the labor leader Eugene Debs, polled almost a million votes. Reform and expectations of reform were in the air. 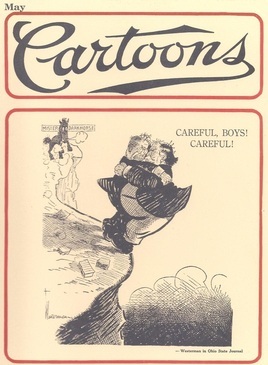 Traditional editorials and cartoons often depicted a three-way race but in fact it was a four-way campaign – a raucous melee, a celebration of freewheeling democracy, a campaign with few parallels in American history. The bitter attacks on Theodore Roosevelt seemed to contribute to a polarized electorate and bitter attacks in the press and, eventually, in public in the most extreme fashion. In Milwaukee for a campaign appearance, TR left a hotel dinner to ride to a rally and to deliver a speech. In the crowd, as he entered his open-top car, a Brooklyn bartender obsessed with the Third-Term tradition fired point-blank into Roosevelt's chest. He was staggered by the bullet, asked that the man be brought before him (partly to see what gun was used!) and demanded to be brought to the assembly hall to deliver his speech. His aides protested, but TR said he would "deliver the speech or die; it is one or the other." He spoke for almost 90 minutes, blood staining his shirt, and told the audience that "it takes more than that to kill a bull moose!" 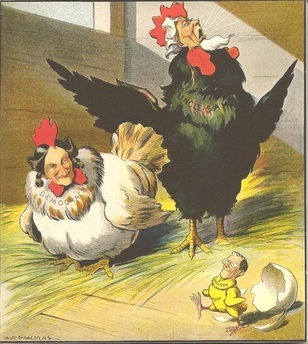 America was shocked, relieved, and impressed by their old Colonel's pluck. Although basically a movement of middle-class reformers and small businessmen, the Progressive Party spoke for many, and appealed to many, among the reform-hungry citizenry of 1912. Women did not have the right to vote, nation-wide, and would not for almost a decade. Yet there were many women who supported and worked for the Bull Moose ticket. Theodore Roosevelt was the first major political figure to support women’s suffrage. It is significant that many Black voters volunteered their support for Roosevelt too. In his first week as president he had invited Booker T. Washington to dinner at the White House (to the outrage of many whites, especially in the South) and was long considered a friend of Black advancement. Labor organizations and immigrant groups were among other supporters of the new Progressive Party. The results of the 1912 presidential campaign were largely expected by voters and candidates alike. Taft carried but two states, fewer than expected; TR lost a few states by razor-thin margins; and the Socialists’ near-million votes surprised many. It is reported that TR, despite statements about an ongoing crusade, was less than optimistic about an ongoing third party (he supposedly said, “There are no loaves and fishes”). In the end, the Progressives’ showing was a remarkable personal achievement. The hastily arranged party, had relatively little underpinning in terms of local organization and lower offices. especially, and America’s wayward drift, as TR saw things, was the paramount concern. One of the Theodore Roosevelt’s many characteristics, as portrayed so many times in this exhibition, was his relationship with the American people. Few presidents undertook extensive speaking tours while in office; and candidates seldom engaged in active campaigning. In 1896 William Jennings Bryan broke the mold; the Democrat countered his obscurity and radical views by speaking at numerous stops from railway cars. Meanwhile, his Republican rival William McKinley seldom left his home’s front porch, as audiences would seek him. TR, as always, was different. As president, he undertook many whistle-stop campaigns, both to commune with an admiring public, but also to explain his policies, “going over the heads” of opposition politicians. In 1912 he was obliged to criss-cross the country to gain attention for his new policies against the political establishment. 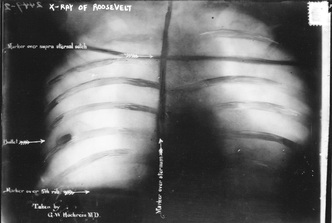 A special factor lent urgency to the fervid speaking schedule of candidate Roosevelt. The election of 1912 was first in American history to feature numerous presidential primaries, the fruition of TR’s longstanding work for greater democratic expressions. But primaries were also vital to his argument that the GOP rank-and-file preferred him to Taft, and necessary to TR’s hunt for delegates. At the beginning of 1912, only six states had presidential primaries: California, Nebraska, North Dakota, Oregon, Wisconsin, and New Jersey. In the run-up to the conventions, six more added themselves to the list: Illinois, Massachusetts, Pennsylvania, South Dakota, Maryland, and Ohio. Others were to join, and a pattern emerged: Taft secured delegates in states without primaries (largely through political control and patronage); and Roosevelt won the overwhelming percentage of delegates where primaries were conducted. Taft was even humiliated by Roosevelt’s majority in his home state of Ohio. The day-by-day itinerary of where TR travelled, whom he met, and where he delivered speeches reflects a remarkable pace, set by a remarkably strenuous candidate. 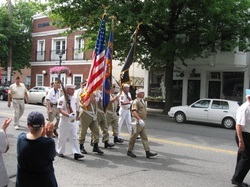 Did Colonel Roosevelt visit your town? 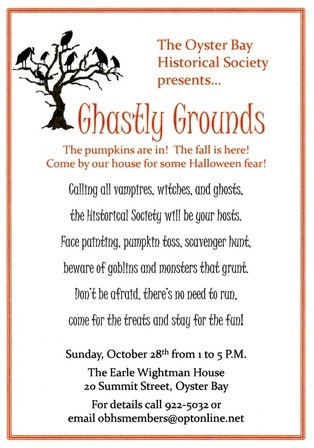 All little vampires, witches, ghosts and zombies are invited to drop by the Earle Wightman House for face painting, a skeleton scavenger hunt and wild pumpkin toss! Creep, float, or crawl over for some Halloween excitement with refreshments served! 20 Summit Street, Oyster Bay - Free to all. For details contact Nicole Menchise or Philip Blocklyn at 516-922-5032 or obhslibrary@optonline.net. 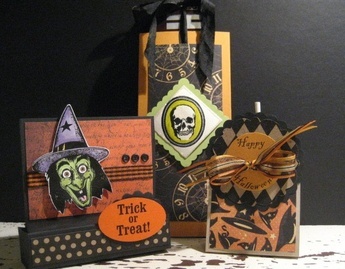 Join us on Saturday, October 27th 12:30-3:30 for some spooky fun making Vintage Halloween Treat Cards! Diana Kovacs will bring her cauldron of paper crafting goodies to stir your creative spirits. These are a few of the designs we'll make, some surprises will await you, if you dare to come! Each card will have written directions and templates, so you can make more for all the ghouls on your list. And, of course, candy is included for all the cards. So "treat" yourself to some holiday fun! We are at capacity for the October 9 workshop. Please call the Society at 516-922-5032, or email Nicole Menchise at obhslibrary@optonline.net to reserve space for a second session (date to be determined). 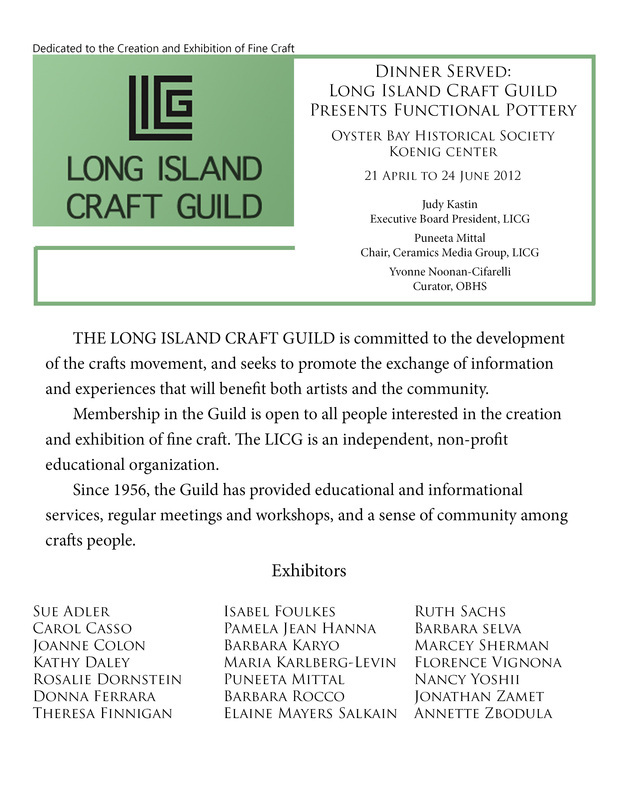 The workshop is free to all Society members ($10 for non-members). Light refreshments will be served. 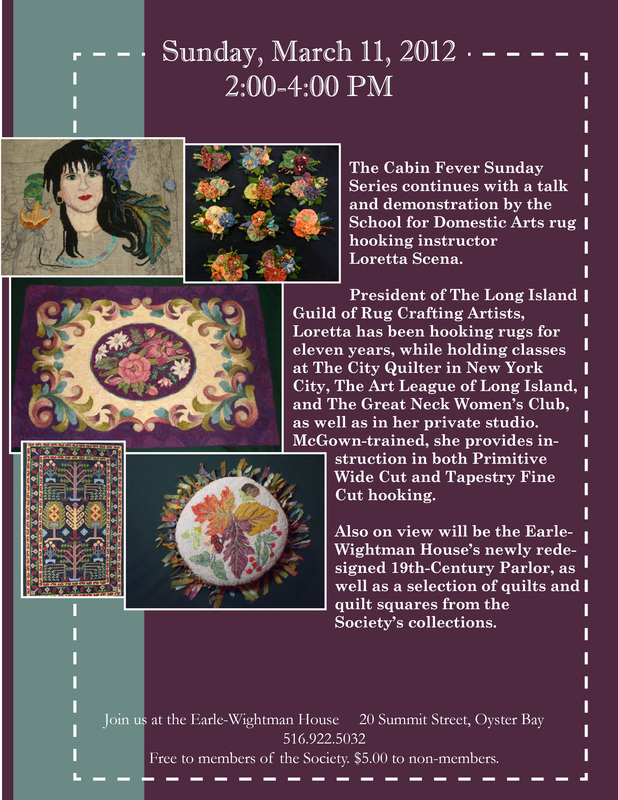 Space is limited, so please call the Society at 516-922-5032, or email Nicole Menchise at obhslibrary@optonline.net for information and reservations. Witness Trees are venerable specimens on National Park Service properties that have "witnessed" key events and people in American history. When witness trees are so old they're on the verge of collapse and have to be felled there sometimes turned into wood chips--an ignominious end for something once so proud. 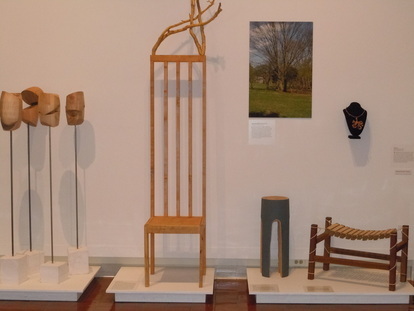 Enter Dale Broholm, who teaches furniture making at the Rhode Island School of Design (RISD), and Louis Hutchins, a historian with the Park Service. They came up with the Witness Tree Project, an innovative collaboration between RISD and the Park Service. Broholm worked with Daniel Cavicchi, chair of RISD's Department of History, Philiosophy, and Social Sciences, to create a new double course. One morning a week students study history; in the afternoon they make objects in the furniture studio, using wood from witness trees. In 2009, the course's first year, the students used wood from a 150-year-old pecan tree at the Hamston National Historic Site, a former plantation near Baltimore. The objects they created reflected their study of what life was like in the era of slavery. 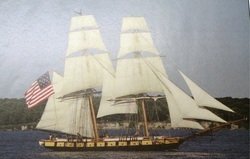 Materials in 2010 came from the George Washington Birthplace National Monument in Northern Neck, Virginia, and from the Sagamore Hill National Historic Site, Theodore Roosevelt's homestead in Oyster Bay, New York. That course dealt with iconic presidents and their memorialization. An elm tree from the Frederick Law Olmsted National Historic Site in Brookline, Massacusetts, supplied wood for the 2011 course. Known as the father of landscape architecture, Olmsted designed New York's Central Park. Among the themes the students explored were urban planning, use of public space, and recreation. In some ways the witness trees are like The Giving Tree of Shel Silverstein's children's books. But unlike that tree, which had nothing left to give by the end of the story, at least some of the park Service's trees can be reborn, thanks to modern science. They're propagated through genetic cloning, and the clones are replanted where their parents once stood. Sponsored by Raymond James Financial Services, Inc. 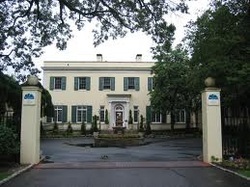 The inaugural Awards Reception to salute Long Island's Top Advocates for Historic Preservation and Education Awards Reception takes place on Tuesday, July 10, 2012, 6 pm to 8 pm, at the Mansion at the Woodlands, 1 Southwoods Road in Woodbury, NY. Members are invited to attend the election of Society officers and trustees, followed by a ceremony honoring the members of the North Country Garden Club. 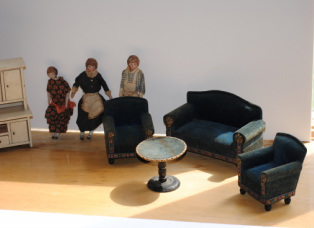 Afterwards, the Society will formally accept the Garden Club's gift of the miniature North Room at Sagamore Hill. 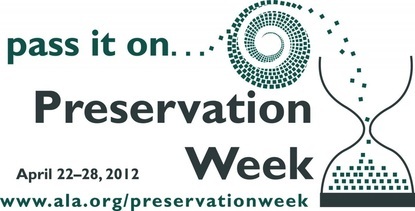 April 22-28th is the American Library Association’s designated Preservation Week and the Oyster Bay Historical Society is celebrating by inviting the community to a roundtable discussion on preserving family treasures. OBHS Archivist/Librarian Nicole Menchise will hold an informal seminar on best practices for maintaining and storing personal collections. Topics to be discussed are the display and long-term storage of papers, books, textiles, and photographs. 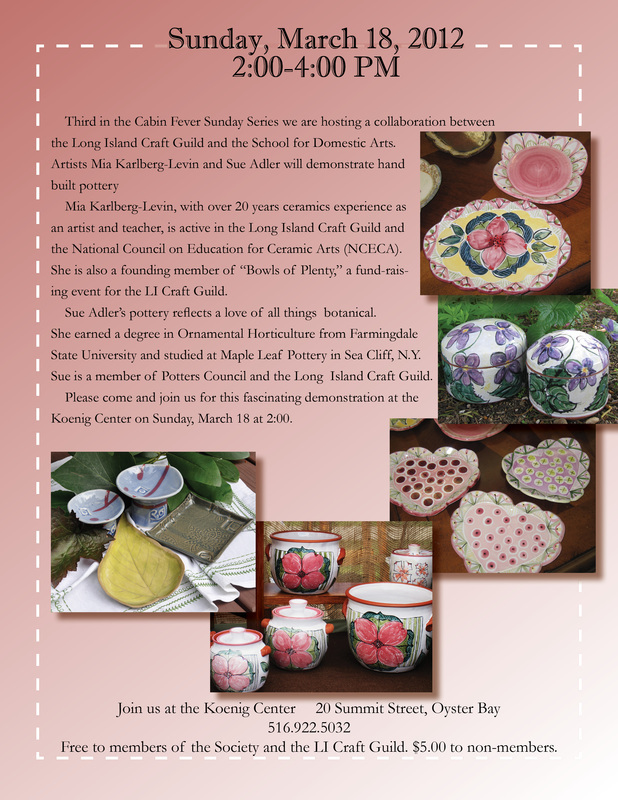 The discussion will be held Thursday, April 26th 2012 from 6:00 to 7:30 p.m. At the Oyster Bay Historical Society in the Koenig Research Center (behind the Earle-Wightman House), 20 Summit Street, Oyster Bay, NY. Free to members of the Society (with special membership opportunities to those living in the 11771 zip code), $10 for non-members. 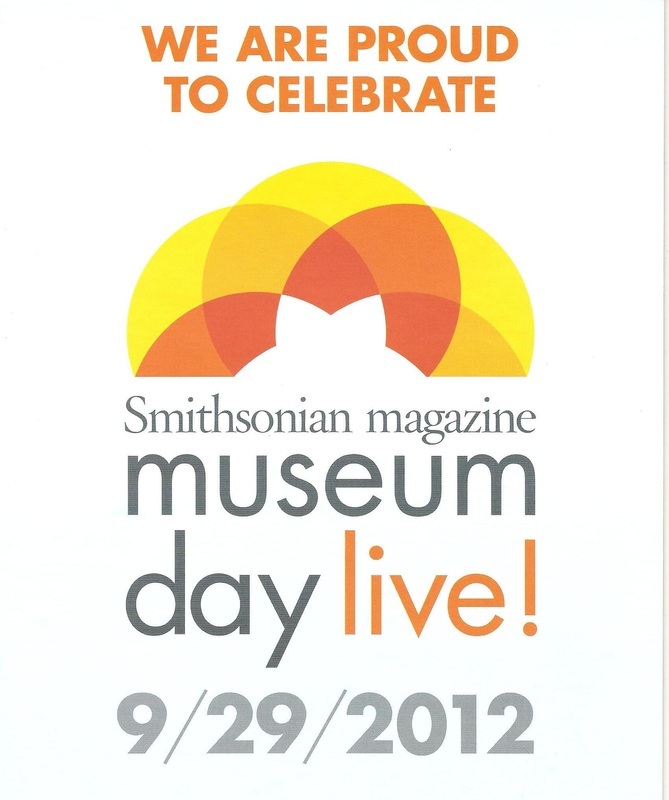 The discussion will include examples taken from the archives with a tour of the research center’s archival floor. Light refreshments will be served. 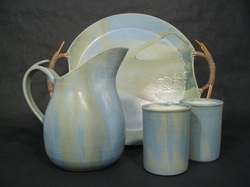 Attendees may bring items they feel need to be specifically inspected, however no appraisals will be given. 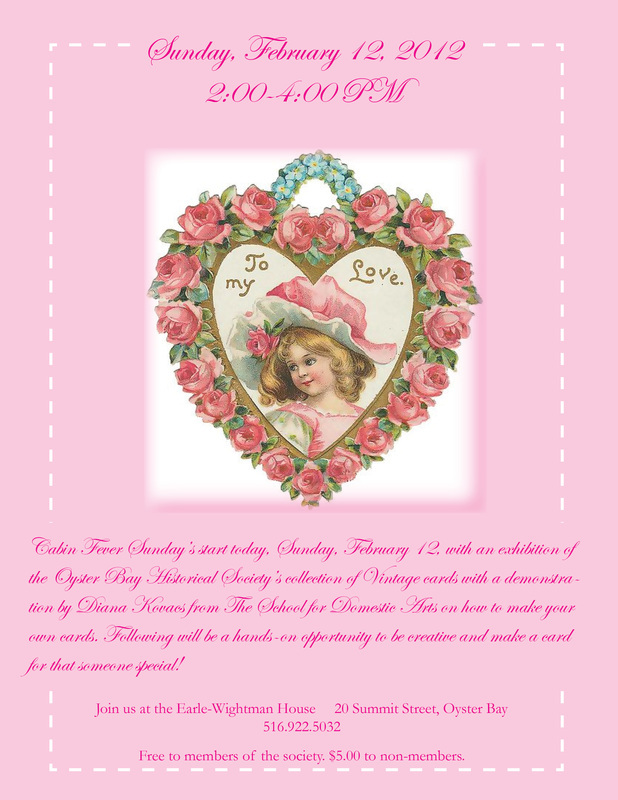 Contact the Oyster Bay Historical Society at 516-922-5032 or email obhslibrary@optonline.net for details or to make a reservation. Louis Comfort Tiffany at Tiffany and Co.
Design Director Emeritus, Tiffany and Co.
Town of Oyster Bay Historian John Hammond will be discussing Oyster Bay in the Civil War and his newest publication, Civil War Records: Town of Oyster Bay. 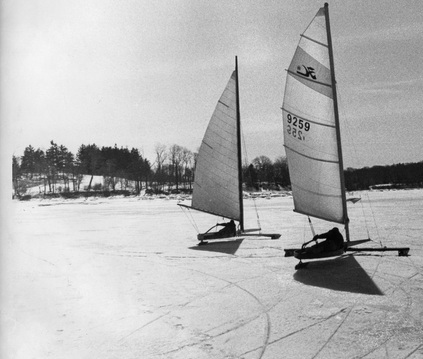 In recognition of Black History Month, Denice S. Evans-Sheppard will discuss Oyster Bay and its families of color in a program focusing specifically on the Carll family and its rich history. A video presentation, along with photographs and a Carll family Bible, will be on view. Ms. Evans-Sheppard will also introduce her book The Constant Struggle Within, a blend of Long Island history and personal family memoirs. 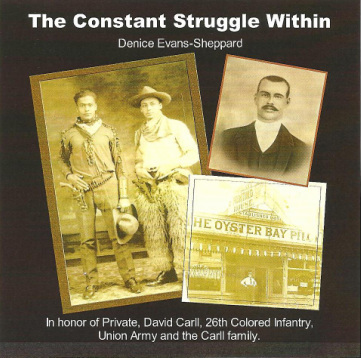 The author is a sixth-generation descendant of Civil War veteran David Carll, who served in the 26th US Colored Regiment. Through extensive research and poignant family historical accounts, Ms. Evans-Sheppard has been able to explore her family lineage as far back as the 1700s. The story introduces a family that overcame much adversity while managing to own property and operate businesses at a time when it appeared inconceivable for any person of color to do so. Signed copies of The Constant Struggle Within will be available for purchase following the program. Donations to the Koenig Center's Beverly Mohlenhoff Fund are most welcome.